You may be wondering since the Guild already plays twice everyday, how are concerts special? Every year the Guild plays a series of concerts with a formalized program that we publicize and distribute programs for. 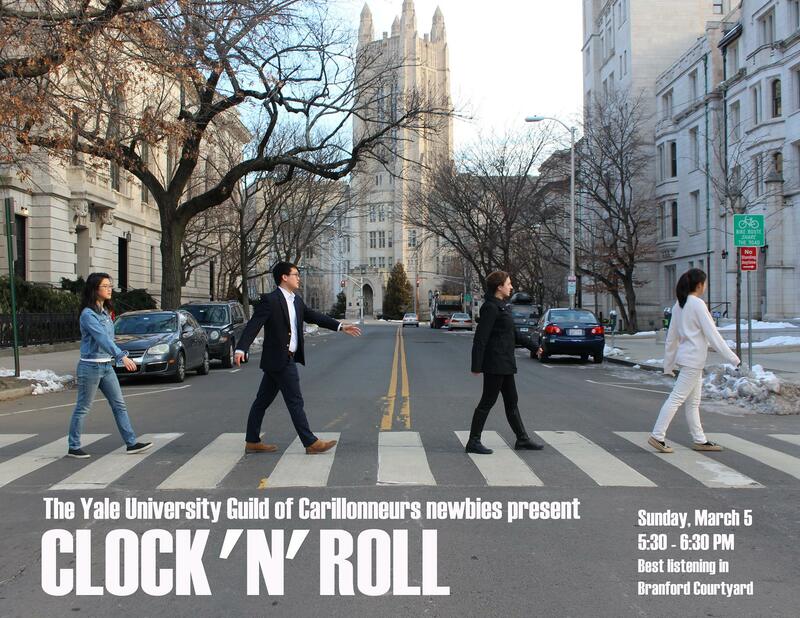 This includes themed concerts such as the Halloween, December Holiday, and Valentines Day Concerts as well as concerts for each Heel class where we play a mixture of pieces composed for the carillon and pieces related to our punny title. Previously audiences could only enjoy the concert from the base of the tower and could not see what goes on inside the playing cabin but today you can now have a first row seat in the playing cabin on the videos right on this website! Please enjoy! Geert D'hollander was named Bok Tower Gardens' fourth fulltime carillonneur in 2012. He has studied piano, chamber music, choral and orchestral conducting, fugue and composition at the Royal Conservatory in Antwerp, Belgium, and carillon at the Royal Carillon School in Mechelen. He was rst prize winner in more than 30 international competitions for carillon or composition. 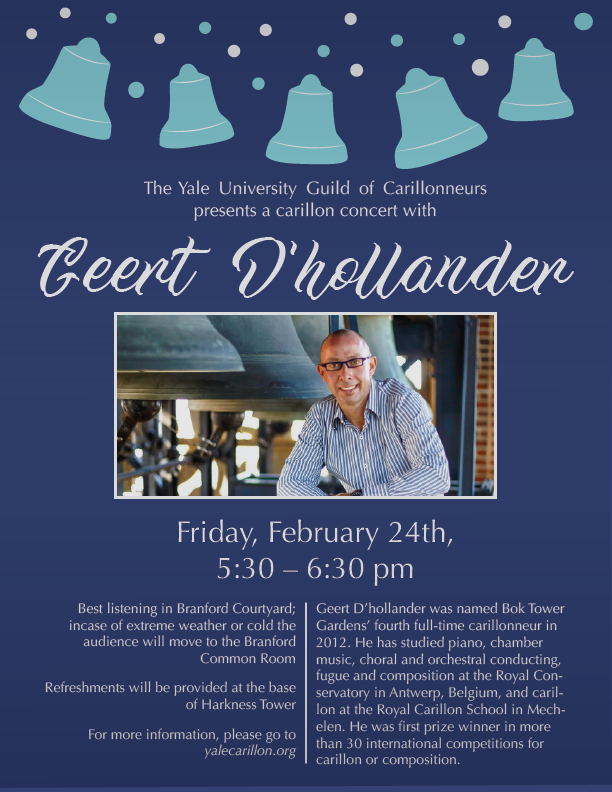 In 1997, D'hollander succeeded Ronald Barnes as University Carillonist and Professor of Carillon at the Department of Music at UC Berkeley. In 2008, he was awarded the "Berkeley Medal of Honor" for "Distinguished Service to the Carillon". Until 2012, when Geert moved to Florida, he was teaching carillon and composition at the Royal Carillon School "Jef Denyn" in Mechelen, and was the city carillonneur of the historical instruments of Antwerp Cathedral, the belfry of Ghent, and the Basilica of Lier (Belgium). He frequently gives master classes in Europe and the U.S. and performs all over the world. 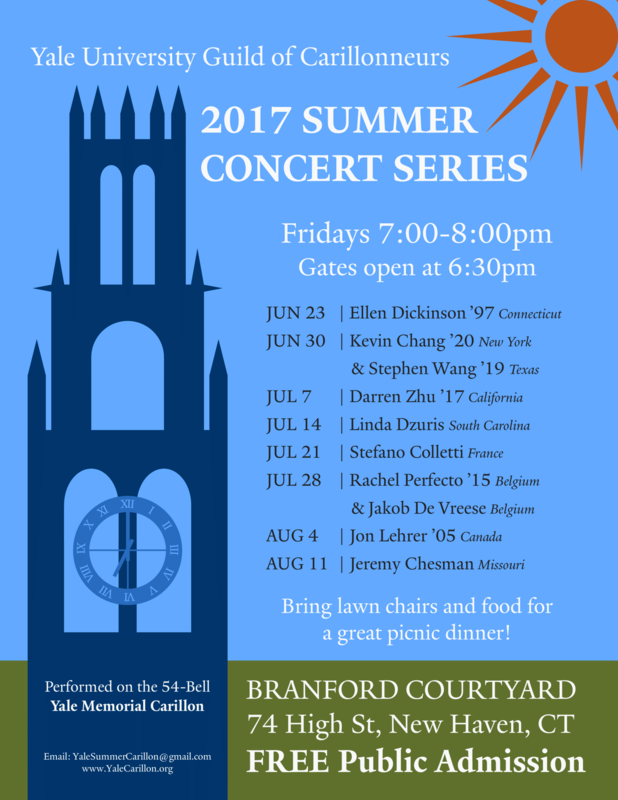 The Summer Concert Series 2016 was organized by Tommy Kilmer, Heather Wang, and Agata Sorotokin.